Designed by nurses, for nurses: NURSING YOU is an exclusive app to help nurses care for themselves so they can keep doing what they do best – caring for others. NURSING YOU enables nurses to reflect on how they make decisions at work and to identify wellbeing goals, such as how to help maintain a healthier weight or drink more water. The app includes wellbeing assessments, tracking functions, and recipes and health tips. We’ve made this app exclusively available for nurses to ensure the best experience for you. Send us a short note at nursingyou@c3health.org saying you’re a nurse who’s interested in using the app and we’ll reply promptly with the access code. Then head over to https://nursingyou.wellbeingzone.co.uk/ to register on the platform (it’s best to register using your laptop or desktop) and start your NURSING YOU journey. 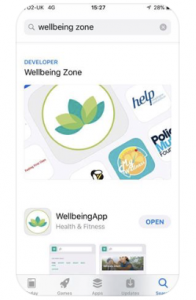 Once you’ve registered and if you’d like to download the app, search for “Wellbeing Zone” in the App Store (or click on these links: iPhone | Android). 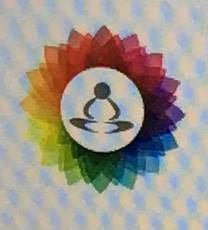 Once you have downloaded the Wellbeing Zone app, you can then log in with your details which will take you through to the NURSING YOU platform. Before, during and after work, how do I make decisions about what to eat and drink? What triggers (situations, feelings or experiences) during my working shifts lead me to make unhealthy eating choices? Are there healthier alternatives, and how do I make them part of my already packed routine? Through this free to download app generously sponsored by MAXIMUS UK, NURSING YOU enables nurses to reflect on how they make decisions at work and identify goals to set to help nurses who are obese to achieve and maintain a healthier weight. While this was developed by nurses who are obese to help nurses who are obese, we believe it could help all nurses. Nurses should give this a go, it helps highlight the areas that you struggle with whilst offering solutions that are realistic to implement and maintain. The tool is simple to use and aimed with our roles in mind, no daft suggestions or gimmicks. Being part of this project has mobilised me into losing weight, 4 stone so far, and the difference is noticeable both at work and home. Give it a try, you’ve nothing to lose but the weight! How was NURSING YOU designed? We have spoken to hundreds of our nursing colleagues through focus groups, workshops and surveys. 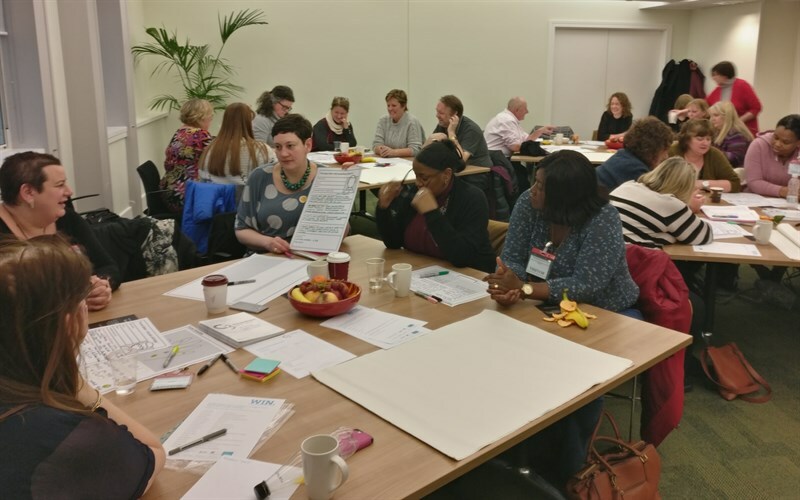 Nurses everywhere agreed: they wanted an online supportive tool that would help them recognise triggers for unhealthy habits and that would lead them on a journey to make little changes and better choices. But they wanted it to be different from all the apps, websites, books and classes already available to people to help lose weight and stay healthy. The nurses we spoke with wanted a tool that was created by nurses with nurses’ unique workplace challenges in mind. They named this tool NURSING YOU. First successfully piloted as an interactive pdf through the Royal College of Nursing’s website, NURSING YOU has been adapted as an app and online portal thanks to sponsorship from MAXIMUS UK. Email us at nursingyou@c3health.org for the code and then access the app at https://nursingyou.wellbeingzone.co.uk/. Why is NURSING YOU needed? The issue of obesity among nurses is highly sensitive and vitally important. It impacts not only on nurses’ own health and wellbeing, but also on their relationships and impact on patients and families, and their productivity within the workplace. In response to this, we’ve been leading on the Healthy Weight Initiative for Nurses (WIN.) project, which has been providing a unique opportunity to understand the perspectives of obese nurses and work with them to identify and test out what they think might help, acknowledging that this is a complex issue. NURSING YOU is a key component of WIN.